These days it seems increasingly rare that we take a moment out of our busy schedules to pause and appreciate our surroundings: downtown skyscrapers, grand civic buildings, or the mundane background buildings along our streets. To many, those soaring steel towers are old news, but have you ever stopped to picture a Manhattan without skyscrapers, or a courthouse in Washington, DC that didn’t resemble a Greek or Roman temple, or how about an America without shopping malls? (Unimaginable. Right?) Dan Protress, writer and producer of the new PBS television series 10 Buildings that Changed America, certainly has. The series, hosted by Emmy-award winning producer Geoffrey Baer, proves that architecture is the cultural back-bone of any society. The show was created to celebrate and explore ten of the most influential American buildings—and the architect’s that designed them—that dramatically altered the architectural landscape of this country. Featuring buildings like Frank Lloyd Wright’s Robie House in Chicago, which transformed the idea of the American home, the Southdale Center in Edina, MN, the nation's first enclosed shopping-center, and the Wainright Building in St. Louis, which, according to historian Tim Samuelson, “taught the skyscraper to soar,” the series delves into the history of these once radically perceived buildings and highlights the roles they have played in molding present-day American society. 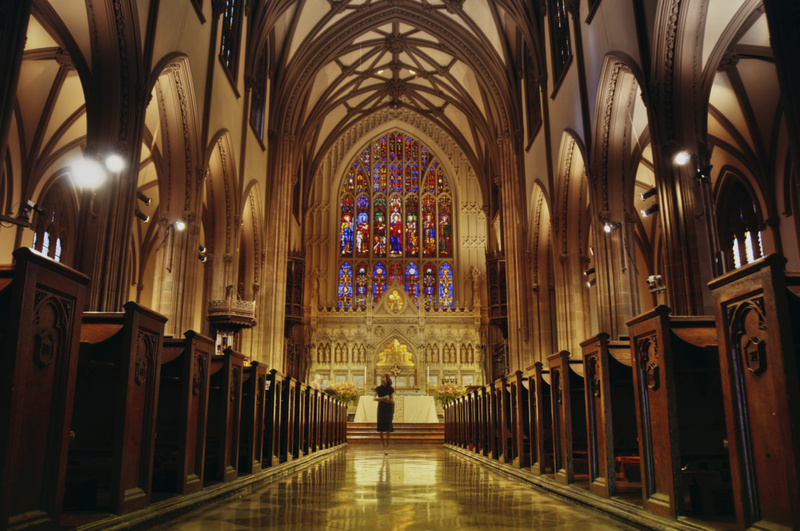 The Society of Architectural Historians, along with a group of architectural experts, has compiled a list of the ten most iconic and influential structures built by different architects ranging from various eras in American history: 1. Virginia State Capitol, Richmond, CA (1788) 2. Trinity Church, Boston, MA (1877) 3. Wainwright Building, St. Louis, MO (1891) 4. Robie House, Chicago, IL (1910) 5. Highland Park Ford Plant, Highland Park, MI (1910) 6. Southdale Center, Edina, MN (1956) 7. 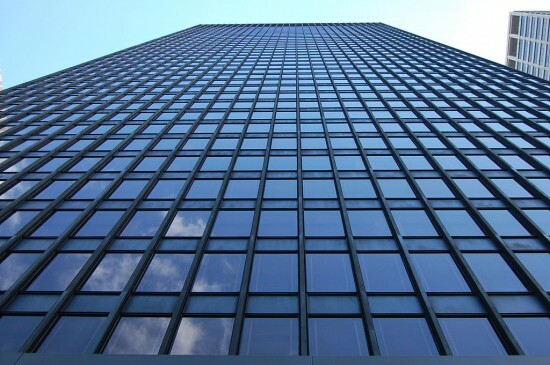 Seagram Building, New York, NY (1958) 8. Dulles International Airport, Chantilly, VA (1962) 9. Vanna Venturi House, Philadelphia, PA (1964) 10. Walt Disney Concert Hall, Los Angeles, CA (2003) The show is scheduled to air on Sunday, May 12, 2013 at 10:00 p.m. EST. Tune in and discover the pioneering architectural leaders, breakthrough concepts, groundbreaking buildings, and touching stories that make up the architectural history of the United States. Who knows, you might just be tempted to take a moment out of that busy schedule to admire your surroundings. All images courtesy Wikimedia Commons. Amidst the flurry of activity surrounding the World Trade Center another monument is nearing completion, though this one is not exactly brand new. 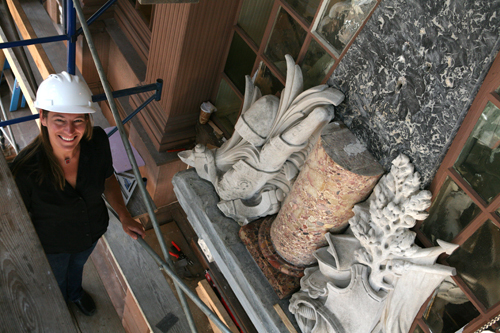 By the end of this week restorers of the Montgomery Monument at Trinity’s St. Paul’s Chapel will be securing the last arrow tip and guttae to the nation’s first monument. Major General Richard Montgomery died under British fire in 1775 leading the charge at the Battle of Quebec. Benjamin Franklin championed the monument to him from its design to its installation, in spite of the intervening war and paltry coffers. It was also Franklin who scouted the Versailles sculptor Jean-Jacques Caffieri. By 1776 he convinced the Continental Congress to commission the monument. After Caffieri completed the sculpture in 1777, Franklin had the chutzpa to show it off in Paris while the war still raged. One year from declaring independence and the young nation was already commemorating its own. For the remainder of the war the monument was stowed away in North Carolina. By 1787, it found its way to front of St. Paul’s and Pierre L’Enfant, the so-to-be planner of Washington D.C., oversaw the installation. Today, St. Paul’s has become of shrine of an entirely different sort. In the ten years after the 9/11 attacks the church took on the weight of becoming the de facto gathering place for millions of World Trade pilgrims. Its place at the nation’s birth, well documented as it may be, took a back seat to contemporary history. But colonial New York was never the city’s prime tourism draw. “We have no heritage trail. What are we going to see, where Washington lost Brooklyn? It would be a totally inverse heritage trail,” said Sally Webster, a professor emeritus at Lehman College CUNY, who recently wrote book on the monument. “We were a loyalist city.” The monument brings with it a historic subtext and dichotomy that fascinates Webster: that of a city that went from loyalist stronghold to the nation’s first capital in a span of a decade and a half. The monument is a rather restrained tribute with small baroque elements. There are not any literal representation of Montgomery. Instead, two limestone carvings that cluster at the base of the column depict symbols of a heroic warrior: shields, a helmet, club, arrows, oak branches and a broken sword. Between this confection a staid rose column rises to support an urn in front of flat obelisk carved of St. Anne des Pyreenees, a heavily veined gray marble from France. The years since Washington sat in the chapel have been unkind to the monument. Amanda Trienens, senior conservator at Integrated Conservation Resources, said the stone was originally highly polished and was described as red, white, blue, and black. She added that over time carbonate stones, like the marble used on the monument, dissolves on the surface creating the monochromatic pastel effect. “There was a question of do we bring it back to the high polish, or do we retain some of the aging, so we struck a balance,” said Trienens. 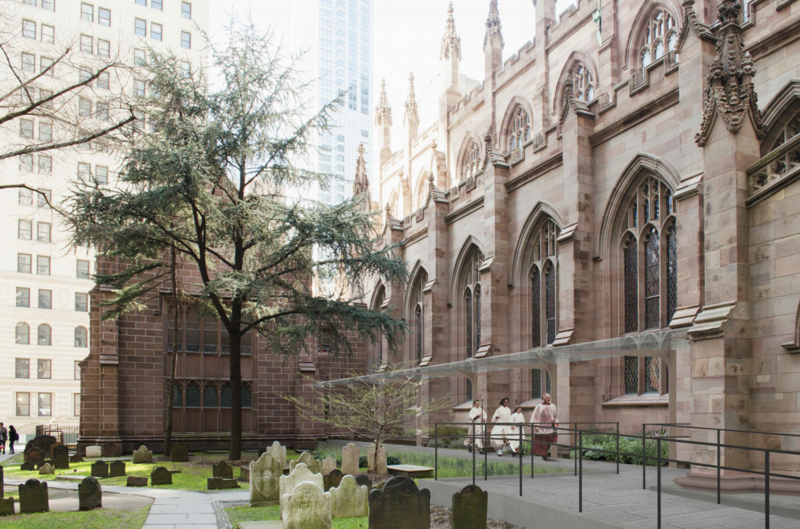 “We did a honing to remove some of the rough surfaces that refracts from the light.” But the restorers, along with the client and the Landmarks Preservation Commission decided against retuning it its original luster, allowing the patina of time to win out over gloss.